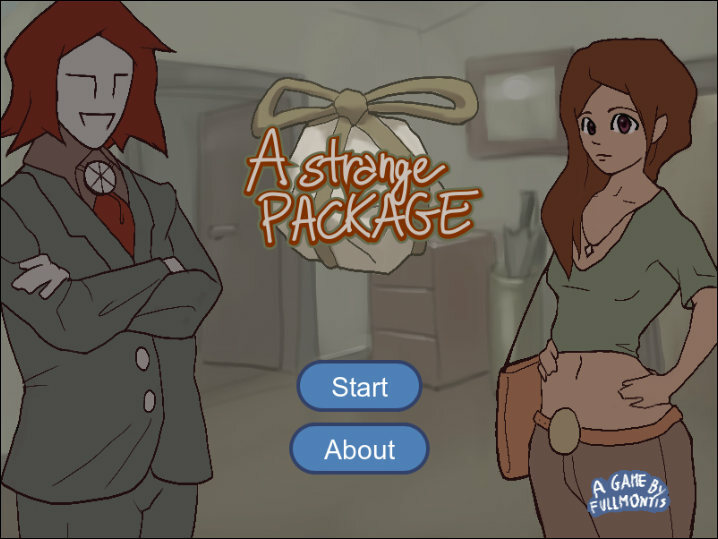 A Strange Package is a visual novel with multiple endings developed in about a month. It tells the story of a lucky (?) man that receives a strange package in the mail, and discovers it to be nothing less than the legendary Philosopher's Stone. From there, things don't go well! The tone is light, allowing you to enjoy it without too much pressure. Just choose your destiny and see what happens. The original game was made for the 1st Alakajam back in September. I liked the idea, and was disappointed of the work I did in the jam, so I decided to do a make over of the visual novel, with better graphics, more music and choices. The game now has three unique endings, and about twenty minutes of time to get all of them. If you try it out, leave a comment telling me what you think! I am always happy to receive some feedback. the games true ending is very clever. yeah the game could probably be a choose your own adventure book but the game has a charming art style and music.